Award winning on demand manufacturing provider Protolabs has launched a new, proprietary material for SLA 3D printing. 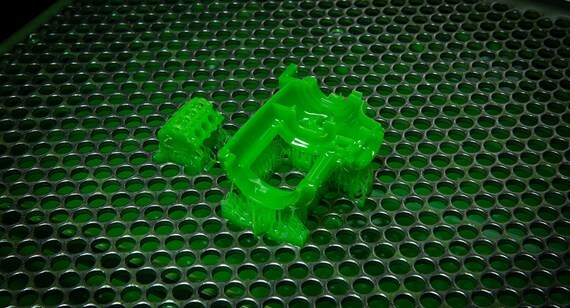 Named MicroFine Green, this resin is specifically formulated for the fabrication of small parts in high definition. Its vibrant color picks out detail, and it possesses mechanical properties akin to ABS. With the addition of this material, Protolabs also provides its customers micro 3D printing capabilities without the high upfront costs of associated hardware. Protolabs’ foundation is in the injection molding industry, with company founder Larry Lukis developing a software to better automate the process. Now two decades into on demand manufacturing, Protolabs’ services reach across CNC machining, sheet metal fabrication, and, as of 2014, industrial-grade 3D printing services for both polymers and metal.